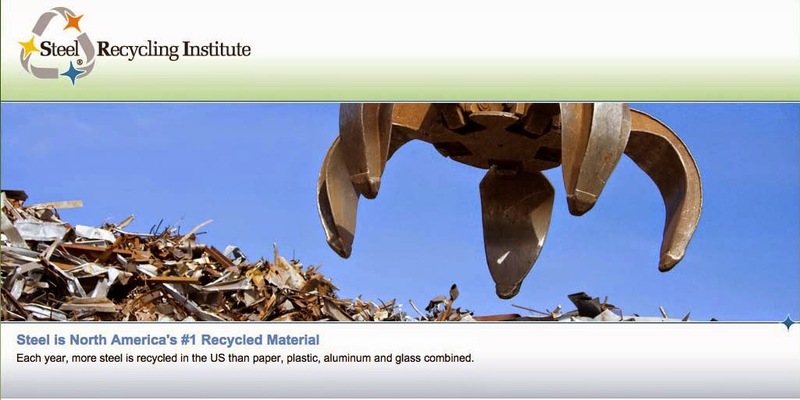 Steel food and beverage can recycling has moved beyond the curbside, beyond the drop-off site, beyond the multimaterial buyback center. It has moved into food service facilities of schools, hospitals, restaurants, hotels, military bases, correctional facilities and other commercial and institutional establishments. What’s left? Well, for paint and aerosol cans, plenty. Communities have been adding empty paint and aerosol cans to existing residential recycling programs. And now, businesses like factories, plants and shops are developing recycling programs for paint and aerosol cans. When residents recycle their paint and aerosol cans, the cans are empty of their product. Empty aerosol cans are simply placed into the recycling bin, while paint cans are collected once the thin skin of paint has dried. When commercial or institutional establishments use quantities of paint and aerosol cans, several additional processing steps are usually necessary to ensure that the cans are empty prior to recycling. Good business sense dictates that factories, plants and shops should use up the contents of paint and aerosol cans in order not to waste the product. Smaller businesses can be reasonably ensured of routine emptiness; however, larger operations, especially those with several shifts and multiple work stations, may occasionally not use the product to depletion. For this reason, scrap dealers and waste haulers may require extra processing steps for commercial paint and aerosol cans. Before implementing a recycling program, a business should consult with scrap dealers and haulers to determine the logistics of the program, including how to collect, prepare, store and ship the containers to the processor for recycling. One negotiations are satisfied, the first step in recycling paint and aerosol cans is to collect them in a central location, where their emptiness can be confirmed. At this central location, if paint remains in any of the paint cans or pails, it is manually or mechanically removed, then the cans are usually flattened to save space. Flattening also ensures that the cans or pails are empty. In some cases, they may be baled on site. For commercial aerosol can recycling (unlike residential), preparation involves puncturing, draining and flattening the case. As the cans are punctured and drained, any residual product is captured for reuse or disposal. Any residual propellant gases are filtered or vented to atmosphere where permitted or, preferably, captured and compressed for other disposition, such as flare-off or use as fuel. After being emptied, the cans are shipped to processors. Depending on how the steel can collection has been negotiated, the business loads the cans into a roll-off provided and services by a local scrap dealer, who will regularly pick up the cans and other steel scrap. Alternatively, the business itself may haul the cans to the scrap dealer, or a waste hauler may pick up the cans and take them to a materials recovery facility, where they will be combined with steel cans from residential recycling programs. Dispenser determines various forms in which product is released, such as the fine spray of furniture polishes and repellents, or the streamlined spray of wasp and hornet killers. Contents are a combination of ingredients and propellant. Dip tube reaches down to bottom of container to carry productive to valve. Curved base allows dip tube to reach and use virtually all the product. Source: Consumer Aerosol Products Council.